The world's largest content library built exclusively for the financial services industry. Driving Engagement Through Great Content. Powering the Mobile Business Revolution. FMeX has transformed the way business is done on a mobile device. One platform that works with any mobile device. Mobile content enablement across iOS, Android, HTML5, with Web interfaces for a unified experience across any mobile, laptop or desktop device. Access the world’s largest financial services library with over 5,000 licensed articles – boost your publishing cadence. Share content on your Facebook page with your Millenial clients, email to your Generation X clients, and mail to your Baby-Boomer clients – in seconds. With FMeX, you are accessing licensed content, so no need to worry about copyright infringement. And we add new licensed content every week. The Articles Library contains a searchable database of more than 5,000 articles licensed from established financial publishers. The library is organized in 15 recognizable categories including Business Benefit Planning, Charitable Giving, Retirement Planning, Estate Planning, Tax Planning and many more. All articles are formatted into 3 styles (HTML, Word, PDF) and available to share via email, LinkedIn, Facebook and/or Twitter. The Newsletter Library contains 15+ FINRA-reviewed (Financial Industry Regulatory Authority) newsletters that are published throughout the calendar year, thus allowing advisors to consistently engage with their clients and prospects. Additionally, curated eNewsletters are published daily with relevant, topical articles of interest. Newsletters can be emailed and/or printed and mailed based on a subscriber’s preference. MyFiles are Your Files. FMeX MyFiles offers the ability to upload your own files into the FMeX platform. Using FMeX capabilities, including eShare and our personalized responsive share page, you are able to share your files with prospects and clients via email and social media outlets. 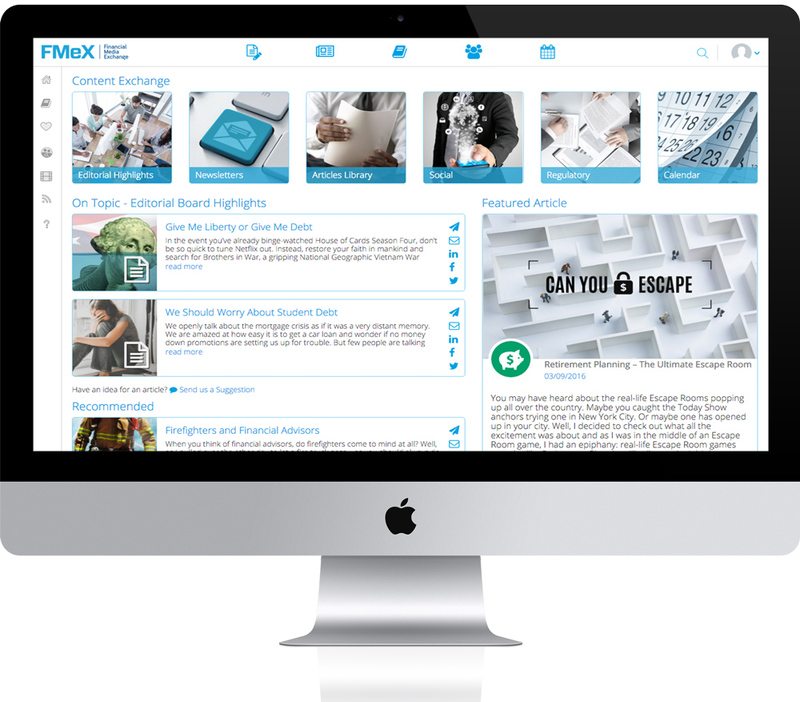 The intuitive and easy to use interface makes it a breeze to manage your own content on FMeX. The Video Library contains 50+ FINRA-reviewed videos organized by categories such as Retirement Channel, College Planning Channel, Business Owner Channel and Benefits Channel. Each video can be viewed instantly on an embedded media player or shared via social networks. All videos (and all FMeX media for that matter) are archived for future consumption and for compliance purposes. FMeX Editorial Board offers weekly insights into breaking news, as well as in-depth reporting on the issues, trends, and ideas it sees driving the markets and the economy. FMeX's Editiorial Calendar shows recommended newsletters and topical content to send to clients, removing the need to remember important financial event dates. FMeX’s solution makes managing your social media presence a breeze. Users can publish articles, trending social media and other "Snackable" content to their Facebook, Twitter and LinkedIn — All from one location. Subscribers have access to our vast library of pre‑approved content to openly share on their social networks. For organizations that want to maximize the productivity of their mobile workforce, FMeX delivers a powerful, intelligent and collaborative solution that automatically and securely delivers the most relevant content to the right users directly to their mobile device – with all the productivity capabilities needed to interact with and present content delivered in one integrated, intuitive platform. Role-based access, and content governance controls determine who should get what content, what they can or can’t do with content as well as where content can or shouldn’t reside. Mobile device whitelisting and a secure browser are provided to aid in controlling content access. Content is fully encrypted at-rest as well as in-motion and can be remotely wiped from a mobile device. Automatically deliver the right content to the right users, regardless of where the content resides, directly to their desktop and mobile devices. 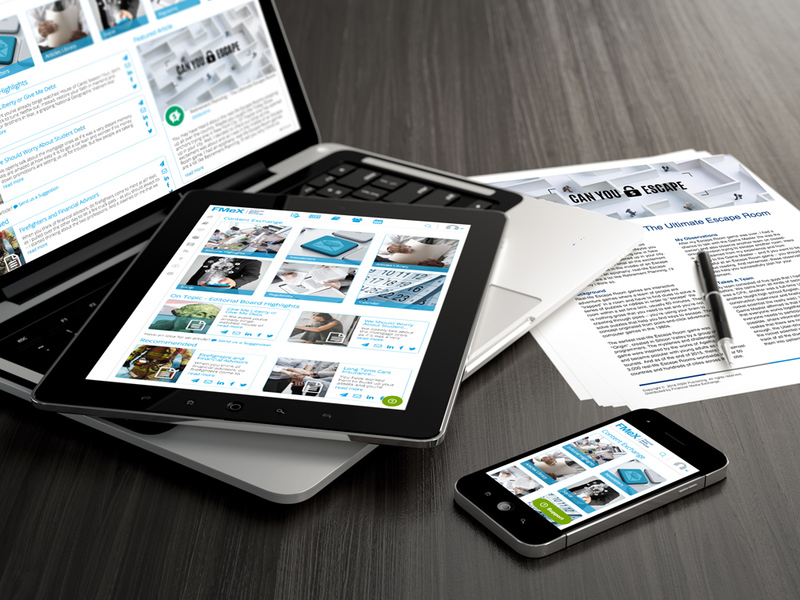 Content is organized based on relevance attributes and renders with complete fidelity on any device. Integrate with your current systems. With FMeX, you can integrate your content wherever it lives, including your content management system, CRM's such as Redtail, Wealthbox and SalesForce, intranet, file servers, or cloud-based solutions including DropBox and Google Drive. Share content out to your mobile workforce, and collect valuable information in the field. Content Intelligence system provides visibility & fine-grained measurement of your content’s utilization as well as intelligence for content that is most relevant given a number of attributes such as a mobile user’s role, association, a company’s particular industry or customer type or content that’s best used at a particular stage in a process, time, location & more. FmeX provides an engaging, intuitive, easy to use interface in a consumer application‑like environment. The FMeX experience is completely configurable to the way users and organizations want their content displayed— on their desktop as well as their mobile devices. Financial Media Exchange is the industry’s largest content marketing platform. We’re powering marketing technology for the future – helping transform the way financial professionals connect with clients, and win more customers. Our cutting-edge technology enables users to create amazing content experiences with simplicity, speed, and global scale. FMeX is a single, unified solution that provides access to all relevant financial content combined with all the tools needed to enable a mobile workforce to be productive, delivered with the information security and content governance capabilities needed to achieve information risk, compliance and security objectives. With FMeX, getting the most for your marketing dollars means never compromising on quality or service. We deliver best-in-class solutions that provides scalable innovation that will meet and exceed your business objectives and expectations. Preview FMeX for yourself and find out just how revolutionary the platform is. Fill out and submit this request form and one of our associates will be in touch with the next steps. If you have a preview code from one of our tradeshows/conferences, please enter it below and your trial account will be processed automatically. Ready to start using FMeX for yourself and find out just how revolutionary the platform is. Fill out this purchase form and we will process your order and send you an introductory email. For your protection and ours, FMeX does not store your credit card information. If you have a promotional discount code, please enter it here. Your subscription will be renewed automatically on Fri, April 24, 2020. Sign up to be notified by email when FMeX launches. We will not publish, share, or sell your email address in any way. We hate spam just as much as you do and will not spam your email. We may occasionally send you email(s) to notify you of any important updates to fmexc.com and fmexdirect.com. However, you will always have the option to opt-out of such email. We will email your whitepaper download link to the email provided. Thanks for requesting the white paper. Check your email for the download link. 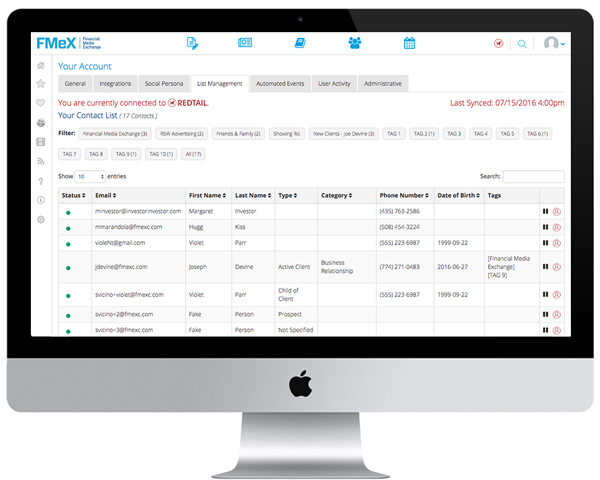 Redtail CRM integration enhances FMeX’s sales enablement platform by enabling you to keep your clients, communications, tags and notes in sync with your Redtail account. Try FMeX for yourself and find out what other advisors have been talking about. Sign in with your Redtail username and password to start your 14 day FMeX Trial right away! Upgrade your trial for only $355.50! Your Redtail partner promo code saves you 10% off the retail price of $395 when you upgrade your subscription! © 2019, Financial Media Exchange, LLC. I would like to register for the webinar presentation. Thank you for registering. We will get back to you with webinar details shortly. Thank you for using Financial Media Exchange (“FMeX”). These terms of service constitute an End User License Agreement (the “Terms”) and govern your access to and use of FMeX, (“we” or “our”) websites and information processing and content management services (the “Services”), so please carefully read them before using the Services. You may use the Services only in compliance with these Terms. You may use the Services only if you have the power to form a contract with FMeX and are not barred under any applicable laws from doing so. If you do not have such authority, or if you do not agree with the Terms of Service, you may not accept this Term of Service and may not use the service. The Services may continue to change over time as we refine and add more features. We may stop, suspend, or modify the Services at any time without prior notice to you. We may also remove any content from our Services at our discretion. If any change is not acceptable to you, your only remedy is to stop accessing and using the service. By using our Services you provide us with information, files, and folders that you submit to FMeX (together, “your stuff”). You retain full ownership to your stuff. We don’t claim any ownership to any of it. These Terms do not grant us any rights to your stuff or intellectual property except for the limited rights that are needed to run the Services, as explained below. We may need your permission to do things you ask us to do with your stuff, for example, hosting your files, or sharing them at your direction. This includes product features visible to you, for example, image thumbnails or document previews. It also includes design choices we make to technically administer our Services, for example, how we redundantly backup data to keep it safe. You give us the permissions we need to do those things solely to provide the Services. This permission also extends to trusted third parties we work with to provide the Services, for example to provide our storage space (again, only to provide the Services). We may choose to review public content for compliance with our community guidelines, but you acknowledge that FMeX has no obligation to monitor any information on the Services. We are not responsible for the accuracy, completeness, appropriateness, or legality of files, user posts, or any other information you may be able to access using the Services. The Services provide features that allow you to share your stuff with others or to make it public. There are many things that users may do with that stuff (for example, copy it, modify it, re-share it). Please consider carefully what you choose to share or make public. FMeX has no responsibility for that activity. This policy explains how cookies are used on this website. This information may be amended from time to time. By using this site you agree to the placement of cookies on your computer in accordance with the terms of this policy. If you do not wish to accept cookies from this site please either disable cookies or refrain from using this site. We use session cookies to help us maintain security and verify your details while you use the website and navigate from page to page, which enables you to avoid having to re-enter your details each time you enter a new page. We use persistent cookies to help us recognize you as a unique user when you return to our website so that you do not have to input your details multiple times as you move between our pages or services. Collect and compile anonymous, aggregated information for statistical and evaluation purposes to help us understand how users use the website and help us improve the structure of our website. Files and other content in the Services may be protected by intellectual property rights of others. Please do not copy, upload, download, or share files unless you have the right to do so. You, not FMeX, will be fully responsible and liable for what you copy, share, upload, download or otherwise use while using the Services. You must not upload spyware or any other malicious software to the Service. You, and not FMeX, are responsible for maintaining and protecting all of your stuff. FMeX will not be liable for any loss or corruption of your stuff, or for any costs or expenses associated with backing up or restoring any of your stuff. If your contact information, or other information related to your account, changes, you must notify us promptly and keep your information current. The Services are not intended for use by you if you are under 16 years of age. By agreeing to these Terms, you are representing to us that you are over 16. You are responsible for safeguarding the password that you use to access the Services and you agree not to disclose your password to any third party. You are responsible for any activity using your account, whether or not you authorized that activity. You should immediately notify FMeX of any unauthorized use of your account. You acknowledge that if you wish to protect your transmission of data or files to FMeX, it is your responsibility to use a secure encrypted connection to communicate with the Services. Some use of our Service may from time to time require you to download a client software package (“Software”). FMeX hereby grants you a limited, nonexclusive, nontransferable, revocable license to use the Software, solely to access the Services. Your license to use the Software is automatically revoked if you violate these Terms in a manner that implicates our intellectual property rights. We hereby reserve all rights not expressly granted in these Terms. You must not reverse engineer or decompile the Software, nor attempt to do so, nor assist anyone else to do so. Our Services may update the Software on your device automatically when a new version is available. These terms do not grant you any right, title, or interest in the Services, Software, or the content in the Services. While we appreciate it when users send us feedback, please be aware that we may use any feedback, comments, or suggestions you send us or post in our forums without any obligation to you. The Software and other technology we use to provide the Services are protected by copyright, trademark, and other laws of both the United States and foreign countries. These Terms do not grant you any rights to use the FMeX trademarks, logos, domain names, or other brand features. Our Content-As-A-Service platform offers subscribing users the ability to use and share content from our platform freely and without reservation, except for commercial purposes (Reselling). You may 1) Share — copy and redistribute the material in any medium or format and 2) Adapt — remix, transform, and build upon the material for any purpose, except for commercial purposes. The licensor will not revoke these freedoms as long as you follow the license terms. The Services may contain links to third-party websites or resources. 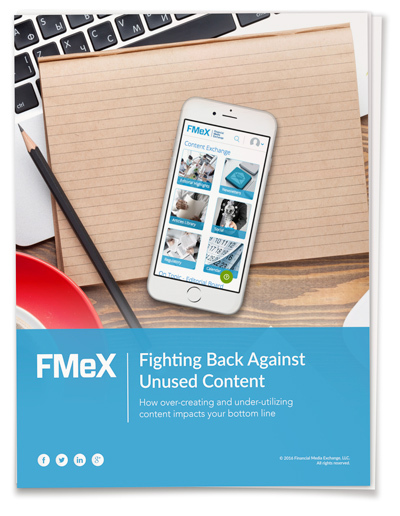 FMeX does not endorse and is not responsible or liable for their availability, accuracy, the related content, products, or services. You are solely responsible for your use of any such websites or resources. Also, if we provide you with any software under an open source license, there may be provisions in those licenses that expressly conflict with these Terms, in which case the open source provisions will apply. Though we want to provide a great service, there are certain things about the service we can’t promise. For example, THE SERVICES AND SOFTWARE ARE PROVIDED “AS IS”, AT YOUR OWN RISK, WITHOUT EXPRESS OR IMPLIED WARRANTY OR CONDITION OF ANY KIND. WE ALSO DISCLAIM ANY WARRANTIES OF MERCHANTABILITY, FITNESS FOR A PARTICULAR PURPOSE OR NON-INFRINGEMENT. (We are not shouting- it’s just that these disclaimers are really important, so we want to highlight them). FMeX will have no responsibility for any harm to your computer system, loss or corruption of data, or other harm that results from your access to or use of the Services or Software. Some jurisdictions do not allow the types of disclaimers in this paragraph, so they may not apply to you. TO THE FULLEST EXTENT PERMITTED BY LAW, IN NO EVENT WILL FMeX, ITS AFFILIATES, OFFICERS, EMPLOYEES, AGENTS, SUPPLIERS OR LICENSORS BE LIABLE FOR (A) ANY INDIRECT, SPECIAL, INCIDENTAL, PUNITIVE, EXEMPLARY OR CONSEQUENTIAL (INCLUDING LOSS OF USE, DATA, BUSINESS, OR PROFITS) DAMAGES, REGARDLESS OF LEGAL THEORY, WHETHER OR NOT FMeX HAS BEEN WARNED OF THE POSSIBILITY OF SUCH DAMAGES, AND EVEN IF A REMEDY FAILS OF ITS ESSENTIAL PURPOSE; (B) AGGREGATE LIABILITY FOR ALL CLAIMS RELATING TO THE SERVICES MORE THAN THE GREATER OF $20 OR THE AMOUNTS PAID BY YOU TO FMeX FOR THE PAST THREE MONTHS OF THE SERVICES IN QUESTION. Some jurisdictions do not allow the types of limitations in this paragraph, so they may not apply to you. THESE TERMS AND THE USE OF THE SERVICES AND SOFTWARE WILL BE GOVERNED BY UNITED STATES LAW EXCEPT FOR ITS CONFLICTS OF LAWS PRINCIPLES. ALL CLAIMS ARISING OUT OF OR RELATING TO THESE TERMS OR THE SERVICES OR SOFTWARE MUST BE LITIGATED EXCLUSIVELY IN THE FEDERAL OR STATE COURTS OF UNITED STATES, AND BOTH PARTIES CONSENT TO VENUE AND PERSONAL JURISDICTION THERE. These Terms constitute the entire and exclusive agreement between you and FMeX with respect to the Services, and supersede and replace any other agreements, terms and conditions applicable to the Services. These Terms create no third party beneficiary rights. FMeX’s failure to enforce a provision is not a waiver of its right to do so later. If a provision is found unenforceable the remaining provisions of the Agreement will remain in full effect and an enforceable term will be substituted reflecting our intent as closely as possible. You may not assign any of your rights in these Terms, and any such attempt is void, but FMeX may assign its rights to any of its affiliates or subsidiaries, or to any successor in interest of any business associated with the Services. FMeX and you are not legal partners or agents; instead, our relationship is that of independent contractors. Files. We collect and store the files you upload, download, or access with the FMeX Service (“Files”). If you add a file to your FMeX hub that has been previously uploaded by you or another user, we may associate all or a portion of the previous file with your account rather than storing a duplicate. Personal Information. In the course of using the Service, we may collect personal information that can be used to contact or identify you (“Personal Information”). Personal Information is or may be used: (i) to provide and improve our Service, (ii) to administer your use of the Service, (iii) to better understand your needs and interests, (iv) to personalize and improve your experience, and (v) to provide or offer software updates and product announcements. If you no longer wish to receive communications from us, please follow the “unsubscribe” instructions provided in any of those communications, or update your account settings information. Geo-Location Information. Some Devices allow applications to access real-time location-based information (for example, GPS). Our mobile apps do not collect such information from your mobile device at any time while you download or use our mobile apps as of the date this policy went into effect, but may do so in the future with your consent to improve our Services. Some photos and videos you place in FMeX hub may contain recorded location information. We may use this information to optimize your experience. If you do not wish to share files embedded with your geo-location information with us, please do not upload them. If you don’t want to store location data in your photos or videos, please consult the documentation for your camera to turn off that feature. Also, some of the information we collect from a Device, for example IP address, can sometimes be used to approximate a Device’s location. Compliance with Laws and Law Enforcement Requests; Protection of FMeX’s Rights. We may disclose to parties outside FMeX hub files stored in your FMeX hub and information about you that we collect when we have a good faith belief that disclosure is reasonably necessary to (a) comply with a law, regulation or compulsory legal request; (b) protect the safety of any person from death or serious bodily injury; (c) prevent fraud or abuse of FMeX hub or its users; or (d) to protect FMeX’s property rights. If we provide your FMeX hub files to a law enforcement agency as set forth above, we will remove FMeX’s encryption from the files before providing them to law enforcement. However, FMeX will not be able to decrypt any files that you encrypted prior to storing them on FMeX hub. If you are a registered user, you may review, update, correct or delete the Personal Information provided in your registration or account profile by changing your “account settings.” If your personally identifiable information changes, or if you no longer desire our service, you may update or delete it by making the change on your account settings. In some cases we may retain copies of your information if required by law. For questions about your Personal Information on our Service, please contact info@fmexc.com. We will respond to your inquiry within 30 days. We will retain your information for as long as your account is active or as needed to provide you services. If you wish to cancel your account or request that we no longer use your information to provide you services, you may delete your account by contacting us at info@fmexc.com. We may retain and use your information as necessary to comply with our legal obligations, resolve disputes, and enforce our agreements. Consistent with these requirements, we will try to delete your information quickly upon request. Please note, however, that there might be latency in deleting information from our servers and backed-up versions might exist after deletion. In addition, we do not delete from our servers files that you have in common with other users. Our Service offers publicly accessible community services such as blogs, forums, and wikis. You should be aware that any information you provide in these areas may be read, collected, and used by others who access them. Your posts may remain even after you cancel your account. For questions about your Personal Information on our Service, please contact info@fmexc.com. Our Site includes links to other Web sites whose privacy practices may differ from those of FMeX. If you submit personal information to any of those sites, your information is governed by their privacy statements. We encourage you to carefully read the privacy statement of any Web site you visit. We follow generally accepted standards to protect the information submitted to us, both during transmission and once we receive it. No method of electronic transmission or storage is 100% secure, however. Therefore, we cannot guarantee its absolute security. If you have any questions about security, you can contact us at info@fmexc.com. Our Services are not directed to persons under 16. We do not knowingly collect personally identifiable information from children under 16. If a parent or guardian becomes aware that his or her child has provided us with Personal Information without their consent, he or she should contact us at info@fmexc.com. If we become aware that a child under 16 has provided us with Personal Information, we will take steps to delete such information from our files. FMeX’s privacy program does not cover information that may be collected through downloadable software. FMeX complies with the U.S. – E.U. Safe Harbor Framework and the U.S. – Swiss Safe Harbor framework as set forth by the U.S. Department of Commerce regarding the collection, use, and retention of personal data from European Union member countries and Switzerland. FMeX has certified that it adheres to the Safe Harbor Privacy Principles of notice, choice, onward transfer, security, data integrity, access, and enforcement. To learn more about the Safe Harbor program please visit http://export.gov/safeharbor. If you have questions regarding this statement, you should contact us at info@fmexc.com. FMeX is used by thousands of financial professionals, and we're proud of the trust placed in us. In exchange, we trust you to use our services responsibly.